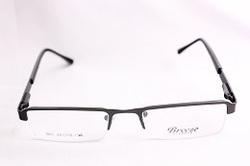 We have been counted as major suppliers, traders and wholesalers of elegantly stylish Black Metal Optical Frame. These optic frames are designed using high quality metal and polished in ravishing black color to compliment sense of style. 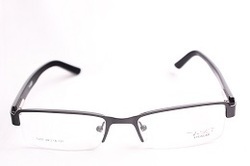 Our distinguished clients can avail these frames from us at the best price in the market. 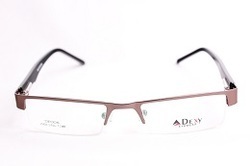 Our valued customers can avail from us a quality tested assortment of Stylish Metal Optical Frame. 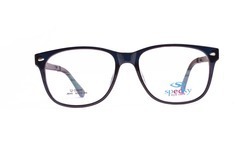 The optical frames we provide are broadly demanded by the patrons for their availability in variegated designs and patterns. Our products are able to offer classy and trendy look to the wearer. In addition to this, we assure our customers that qualitative range is delivered at budget friendly prices from our end. 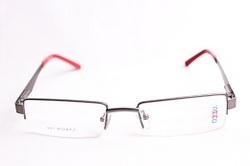 Looking for Metal Optical Frames ?